Proprioception; knowledge of where your body is in relation to the world. As a frequent reader of books about autism, I'm very much aware of these other senses but I think that this is the first time I've found all three in a book aimed at children. 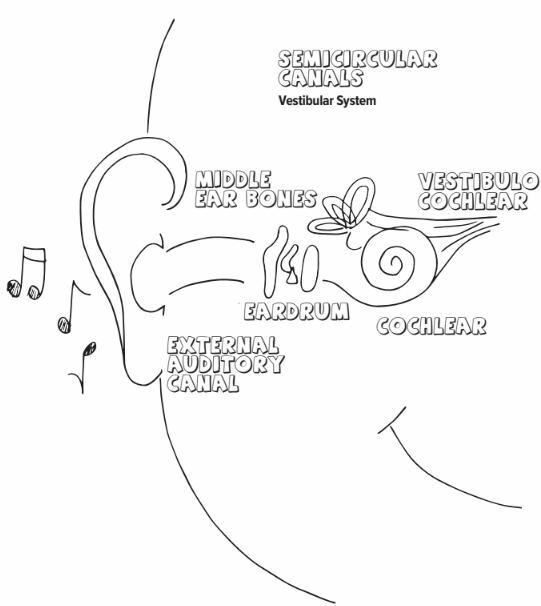 For me, that makes this the most accurate (perhaps the only accurate) kid's book on the sensory system today. Having introduced all of the senses, the book uses a “crossing the road” example to show how the various senses work together. It's a very effective example. At times, the level of detail is astonishing for a kid's book and the words used never pander to the very young but remain consistent and scientific. The words visual, auditory, olfactory, gustatory and tactile are used instead of simply sight, sound, smell, taste and touch. This makes the book much more interesting and useful for older children while not excluding younger readers. 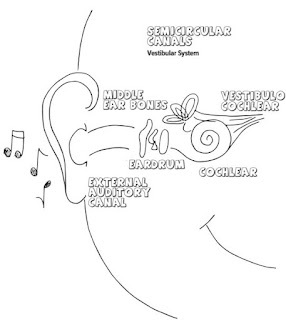 Finally, there's a paragraph on sensory modulation. It never actually mentions autism or sensory issues but it leads the reader right up to that point. It makes an ideal book for a teacher to read to the class before explaining how some children and adults can experience sensory overload. The drawings are simple and self-explanatory. They look very easy to colour in too. The author, Paula Aquilla has been an occupational therapist for more than thirty years, she and has extensive involvement with kids with special needs. She’s the founder of the YES I CAN! INTEGRATED NURSERY SCHOOL, YES I CAN! SUMMER CAMP and the I LOVE MY BABY PROGRAM in Toronto. Paula was also the founding executive director of GIANT STEPS, a private school for children with autism, at Toronto. She runs a private practice serving children with special needs and their families. Color my Senses by Paula Aquilla BSc, OT, DOMP is without a doubt the best book on the sensory system aimed at young children but due to the language and detail, its usefulness extends well beyond the early years and it is equally suitable for older children who need an introduction to the senses. 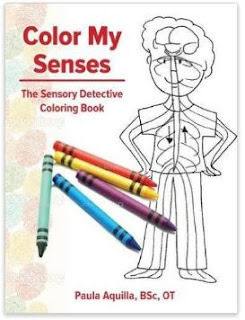 Color my Senses: The Sensory Detective Coloring Book is published and available in paperback from Future Horizons. It's also available from Amazon and Goodreads. Honesty Clause: I was provided with a copy of Color my Senses free of charge for review purposes.